FABULOUS NEW EDGEMOOR LISTING! 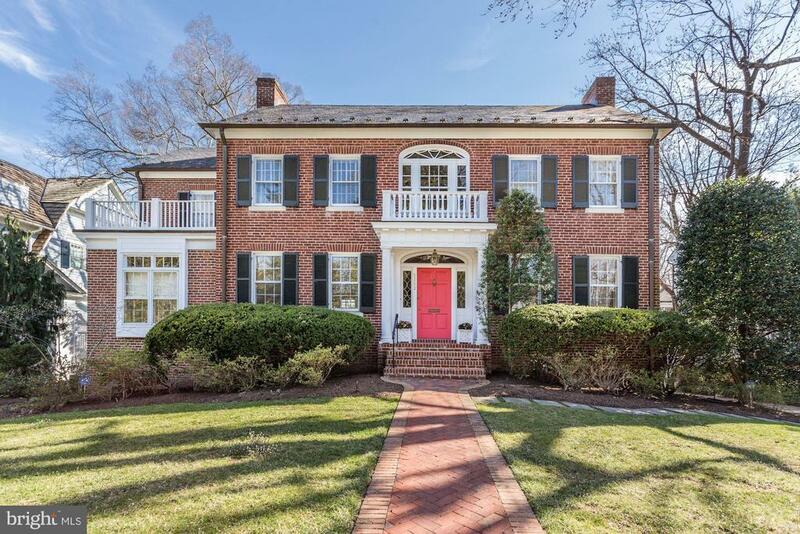 Located in the heart of Bethesda, on Edgemoors premier street, 5202 Edgemoor Lane is an exemplary Georgian Colonial blocks from the Metro and Bethesda Row and around the corner from the Edgemoor Swim and Tennis Club. Built in 1923, this lovely home has been thoughtfully expanded and renovated. The expansive floorplan includes 5, 847 square feet of interior living space on four levels. ~The main level features: a gracious foyer with nine foot ceilings, a large gracious living room with wood burning fireplace and French doors leading to the covered porch, a wonderful library with built in bookcases and ten feet ceilings, an expansive dining room perfect for hosting large gatherings, a bright and sunny kitchen leading to an English conservatory and the beautiful yard, and a powder room. ~The upper level features an open computer room/study space, three bedrooms, and three bathrooms (including a gracious master suite with fireplace, walk-in-closets, two master bathrooms and laundry). ~The second upper level includes: two good size bedrooms, a full bathroom, and plenty of storage. ~The lower level offers: a spacious partially finished Rec room with high ceilings, a wine cellar, full bathroom, a second laundry room, and rear entry garage. Located on a 12, 240 square foot (0.28 acres) lot, the grounds are private and feature picturesque English-style gardens. This is truly one of Edgemoors finest homes! Directions: North on Arlington Road, left on Edgemoor Lane, three blocks on left.